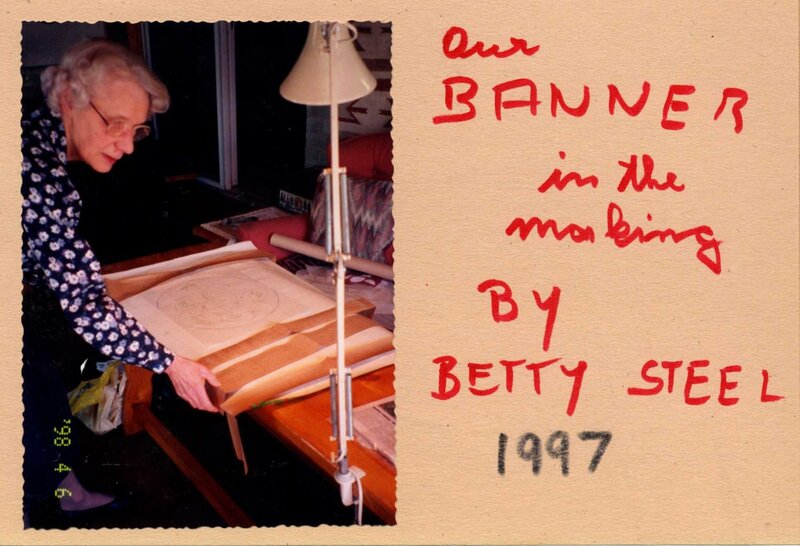 In 1997, when Joyce Scruton was President, it was time to consider a banner. Because Bronte is situated on Lake Ontario, it was logical to have both a nautical and a floral theme. After much searching for just the right material and through a stroke of luck, the ideal fabric was found. This incorporated a beige background with a scene of lighthouses and boats and a border of dark brown featuring tiny flowers. 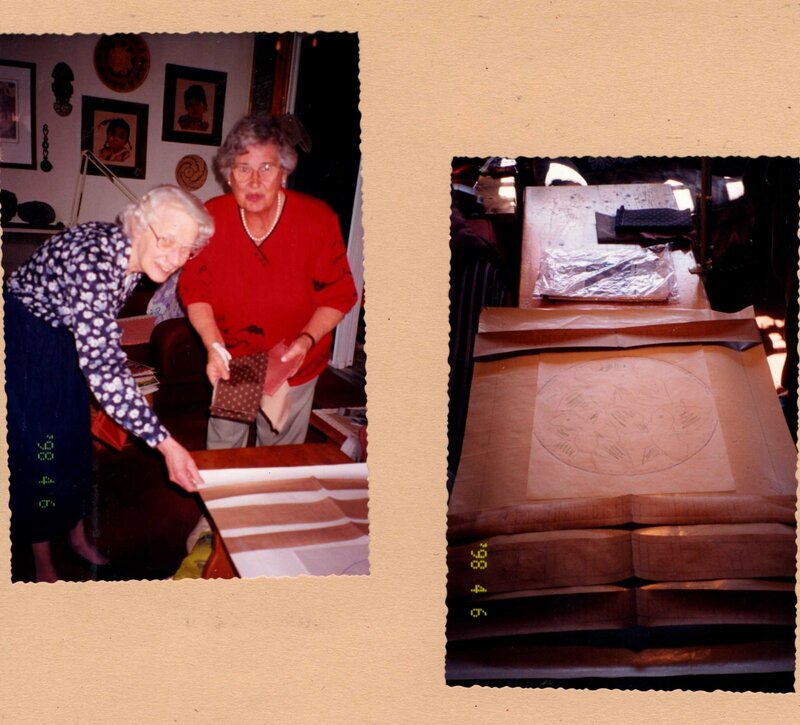 The focal point is the inner circle of rusty colour depicting three beautiful white trilliums appliquéd to it. Across the top is BRONTE, and under the trillium circle, HORTICULTURAL SOCIETY. Finishing off the bottom is, FOUNDED IN 1925. 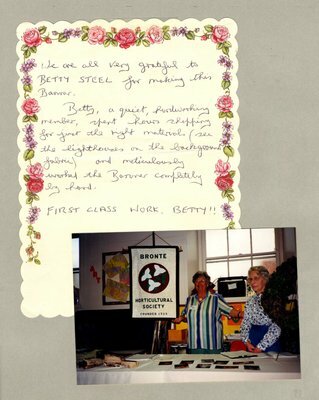 Betty Steel recounts that finding the right fabric was just the beginning of many hours it took to make the banner. 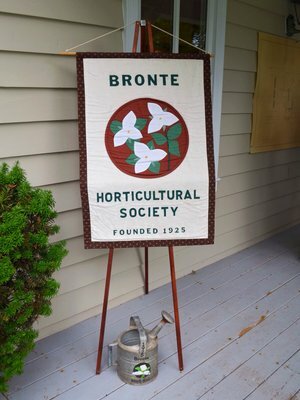 Now it is displayed with pride at our meetings, home shows, plant sales, and any opportunity we have to promote the Bronte Horticultural Society.